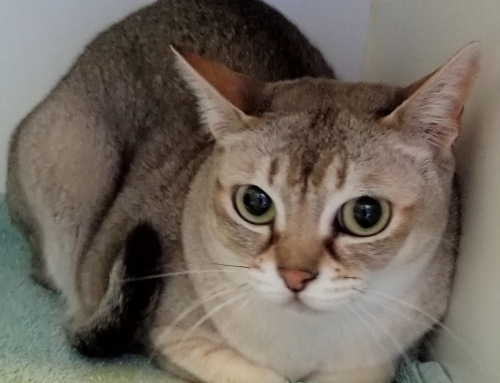 Ziggy is a talkative, adventurous ruddy Bengal/Abyssinian mix. He is 6½ years old, neutered, 4-paw declawed and weighs about 10 lbs. Ziggy came from a home with other cats and a dog and it was a stressful environment for him. 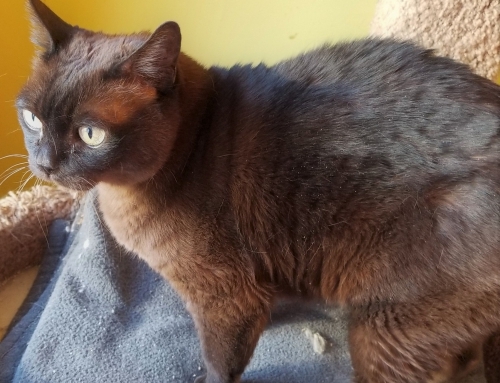 In foster care, Ziggy has shown that he does not like other cats (they stress him to no end) but he loves to play with his foster family’s 60# hound dog. In his previous home, he was known to groom the family dog! Ziggy is very interactive with his foster (human) parents – he comes when he’s called, talks a lot and will even carry on a conversation with you. 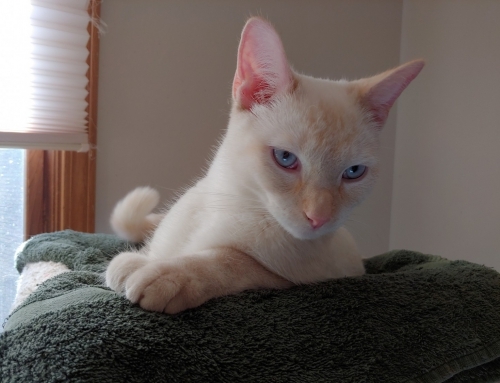 He follows people from room to room, enjoys playing with wand toys and catnip and loves nothing more than to settle on your lap in the evening to watch TV. Ziggy has not been introduced to young children, but would likely do well with respectful children. He does not like other cats but would do great with a dog. 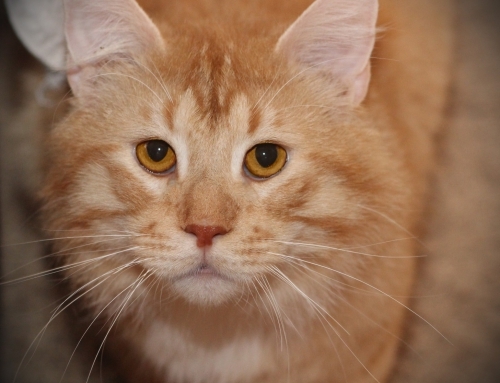 Ziggy has a big, friendly personality and is a great conversationalist! ADOPTION FEE $100. FOSTERED IN UNION GROVE, WI.